South Africa has downgraded its embassy to Israel, the first phase in reducing diplomatic relations between the two countries at the request of South Africa’s ruling African National Congress (ANC) party. In this first phase, South Africa’s formerly full-service embassy in Tel Aviv has been downgraded to a liaison office, a diplomatic mission with limited functionality. South Africa’s Minister of International Relations, Lindiwe Sisulu, explained in a statement that this liaison office “will have no political mandate, no trade mandate and no development-cooperation mandate”. Sisulu added that the liaison office would now focus only on “consular [assistance] and the facilitation of people-to-people relations”. South Africa’s Ambassador to Tel Aviv, Sisa Ngombane, has also been permanently recalled as part of the downgrade, AfroPal Forum reported. The decision to downgrade the embassy was taken in 2017, after the ANC party implemented a resolution directing the South African government to “immediately and unconditionally downgrade the South African embassy in Israel to a liaison office”. 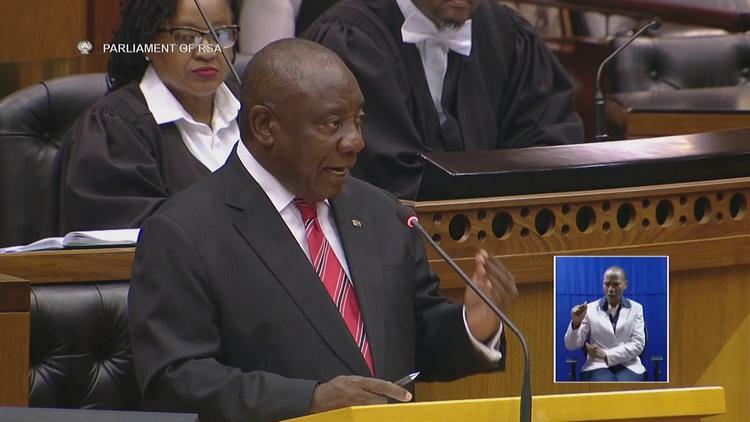 The ANC called the resolution “a practical expression of support [for] the oppressed people of Palestine” and a means of pressuring Israel to end its occupation of the Palestinian territories. South Africa represents values of dignity, freedom and justice, and is fully aware of the importance of its pioneering role in international solidarity with the oppressed peoples of the world, especially the Palestinian people. According to local news site the Daily Maverick, the second phase of the downgrade is likely to involve removing the Israeli ambassador to South Africa, Lior Keinan, from his position. For his part, Keinan said yesterday that he had “no comment regarding South African policymaking”. The decision to downgrade the embassy comes in the wake of an ongoing diplomatic spat between Israel and South Africa. In May, South African Ambassador Ngombane was recalled from Israel in protest against Israel’s killing of Palestinian protesters during the Great March of Return in the besieged Gaza Strip. In July, International Relations Minister Sisulu said she was “very glad” to have made the decision to recall Ngombane, vowing not to return him until “we are making headway” with resolving the situation in the occupied Palestinian territories (oPt). Despite this resolution, Ngombane returned to Tel Aviv in September after just four months. Israeli-South African relations have also been soured by the latter’s support of the Boycott, Divestment and Sanctions (BDS) movement. In November, South Africa’s University of Stellenbosch withdrew invitations for Israeli academics to attend a major conference at BDS’ recommendation. BDS activists cited Israel’s Nation-State Law, which last year declared Israel the “national home of the Jewish people” and effectively rendered its 1.8 million Palestinian citizens second-class citizens, as one of their reasons for rescinding the academics’ invites. Numerous churches and universities throughout South Africa have also backed a cultural and economic boycott of Israel. In August, a South African music duo decided to pull out of Israel’s Meteor festival after they were asked to reconsider their decision to perform there by BDS South Africa. The movement thanked “[the musicians] for both their willingness to engage and their decision to not perform in Israel”.